"Hey buddy, want to have pizza after the game?" It is estimated that 85% of youth level coaches are volunteer dads and moms. 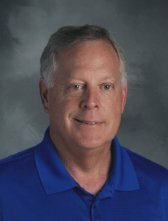 You say, “Coach Dave, if we followed your advice we would not have anybody to coach our kids.” Yes, you are correct. Youth baseball and other youth sports rely almost entirely on volunteer coaches who have children in the programs. Without parents that are willing and able to step forward to coach youth leagues we would not have an adequate number of coaches. Teams and leagues would fold up overnight. Many areas in our country have had difficulty conducting youth leagues because of a shortage of volunteer adults to coach and administer programs. How do we get around the issue of needing adults to coach our teams and never coaching your own child? How in the world do we put player’s dads as their team’s coaches and then turn around and not allow them to coach their own kid? It’s very simple really. Read on…coaching your own child. "When you get to 2b take a left"
I have seen some really unhealthy situations between coach/father and player/son in youth baseball. I have seen dad/coaches (coaches with their kid on the team) that are in their kids business almost every minute they are on the field. I have seen some coaches who consistently pamper, make excuses for, nag, over-coach, wait on hand and foot, ignore the other players, and allow their kid to completely disrespect the game of baseball. Certainly every dad who coaches their own kid does not fit all the above descriptions. Yet, from my experience and observations, more times than not the large majority of dad coaches fall into one or more of the above categories. Very rarely does a dad coaching your own child tow the line and can completely remove themselves from acting like a dad when interacting with their own kid on the team unless they follow a strict, simple solution. The dad-coaching your own child spends most of their time licking the wounds when the kid experiences failure or gets banged up (which is often in baseball). 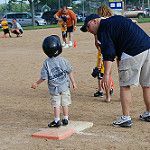 Its one thing to support your kid and provide encouragement on the ballfield--It is another thing when you are falling all over your own kid when they strike out or fail in any way or have a minor bump or bruise. The kid loves the attention so naturally they will begin to catch on that the more they whimper and whine and put on a drama display the more petting they get from dad and mom coach—and it just snowballs and gets worse and worse. There are many opportunities for life lessons in baseball and not many are more important than learning to take responsibility for your own game and accepting the stuff that happens. When you are consistently pointing your finger and blaming someone else when stuff happens you are missing the opportunities to learn how to ‘bounce back’ and ‘play through’ tough times. In other words, I (dad assistant coach agree with you son) am not going to back my head coach and stand firm with my own kid—I am going to mumble loud enough so the head coach knows I’m agitated too as to why my kid is not pitching or batting 4th and I want the head coach to know it. This undermines the head coach’s authority in the kid’s mind and is reinforced by the kid’s dad/assistant. When this happens you can probably imagine what the dad/assistant coach is talking to their kid about how bad the decisions are with regards to the head coach when the family goes home. Dad coach can never see anything good from their kid. The kid ‘never measures up’. Dad-coach has to say something to ‘dig’ at the kid on nearly every situation. The kid usually is pretty miserable, continues to play but stays quiet, and inside feels like quitting and doing something else so they can escape the constant wrath of tongue lashings and reprimands. And, this is what we see in public—can you imagine what happens to the kid when they go home? Dad-coach has a continuous conversation with their kid. Usually this happens while their kid is batting in batting practice or the game. Dad-coach is continuously critiquing every swing and every movement in the swing. 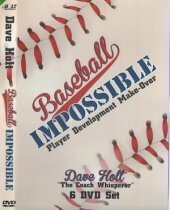 Or often when the kid is pitching the dad-coach will critique every throw and will often add some ‘pampering’ and ‘making excuses’ into the mix during the over-coaching (undermining the umps or the fielders). “You need some water or Gatorade?” “Are you hot? “Let me get you a snack”. Here is another baseball (after the ball goes over their head while playing catch-my kid does not have to chase down another player’s bad throws). Now it’s certainly okay to make sure your kid has plenty of fluids and nourishment but set that up before the event so you don’t have to pay them any attention during the practice or game. And let them chase their own baseballs. Dad/coach is so enamored by their own kid’s business they rarely have time for other players and their coaching needs. Certainly, dad/coach would not be there coaching unless his child was on the team. The trick is to do the opposite—ignore your own kid. Dad/coach allows their kid to do stuff without consistent consequences like not running out the batted balls, throwing equipment, temper tantrums, lollygagging out to the defensive positions while pouting, talking bad about opponents, not giving attention to the needs of fellow teammates, not giving 100% during games and practices, and complaining about the umpires. I have observed these behaviors commonly from dad/coached kids. When you foster this environment of pampering, making excuses, mumbling, undermining the coaches on the ride home, over-coaching, waiting on hand-and-foot, ignoring the rest of the team you get the fruits of your seeds you planted. Equals: a kid that plays with disrespect for the game. The Solution: How to Coach without Coaching Your Own Child? There is one healthy way to fix the situation between father and son coexisting on the same team. Read More… Part 2 & find the answer!